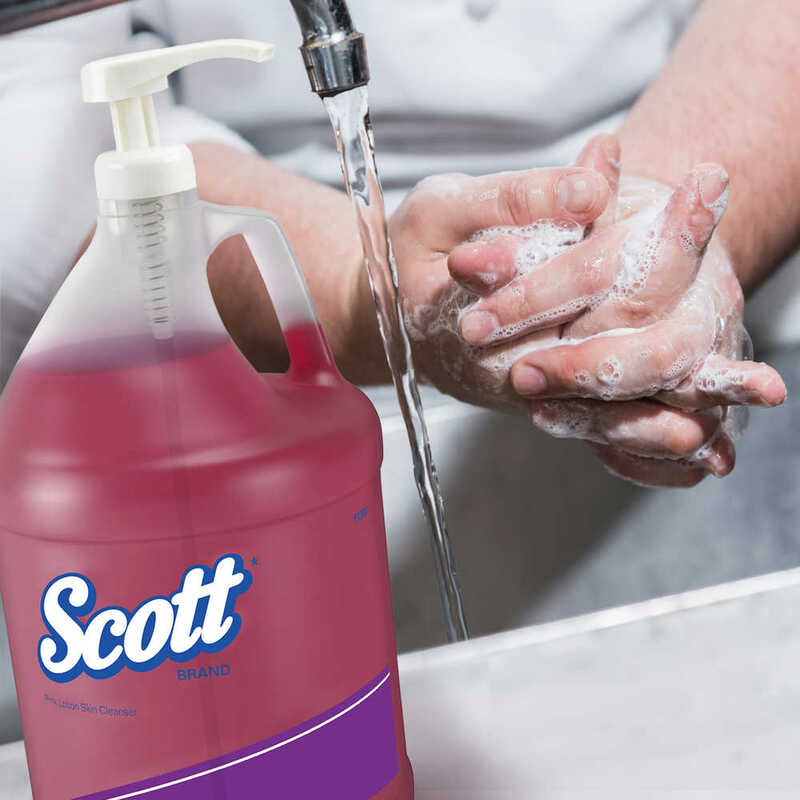 When you manage a high-traffic business (like retail, industrial or commercial space), you want to provide an efficient, easy way for your workers and customers to clean their hands. 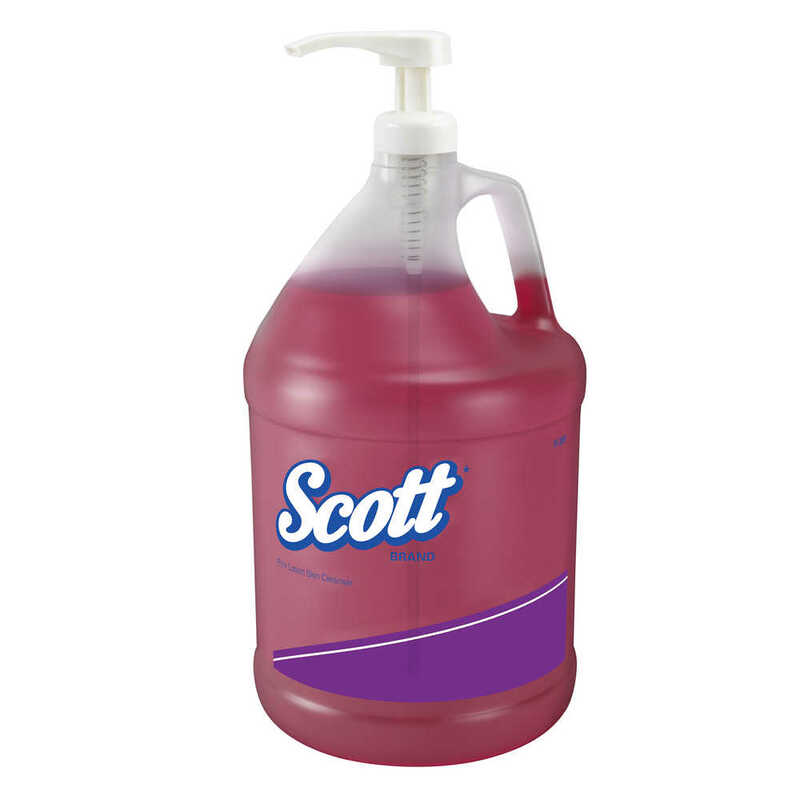 Scott Skin Cleansers’ Bulk Hand Soap in the 1-gallon jug is a great option. It’s pink, transparent and features a subtle peach scent . 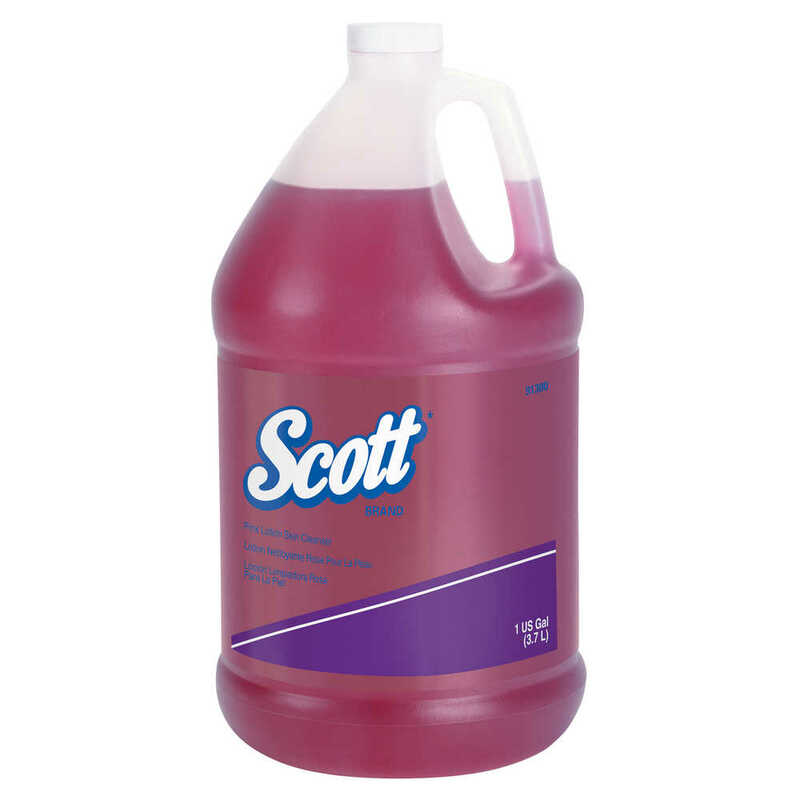 It lathers nicely, is easy-to-rinse and contains glycerin (a moisturizing ingredient). 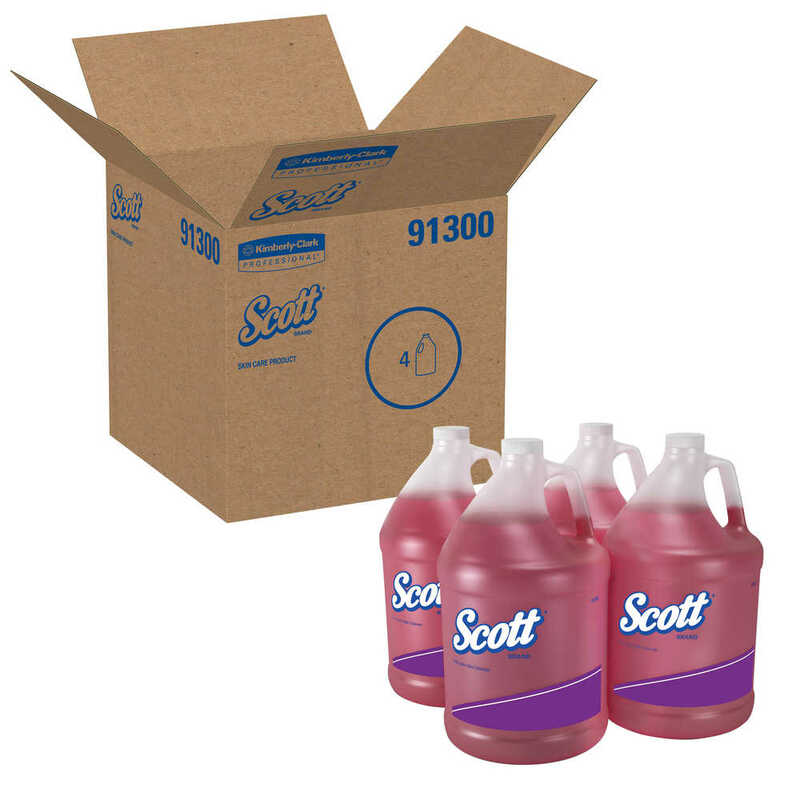 In the gallon jug commercial hand soap format, you can use it to as a soap dispenser refill for countertop pump dispensers or purchase (separately) a large pump for the bottle. 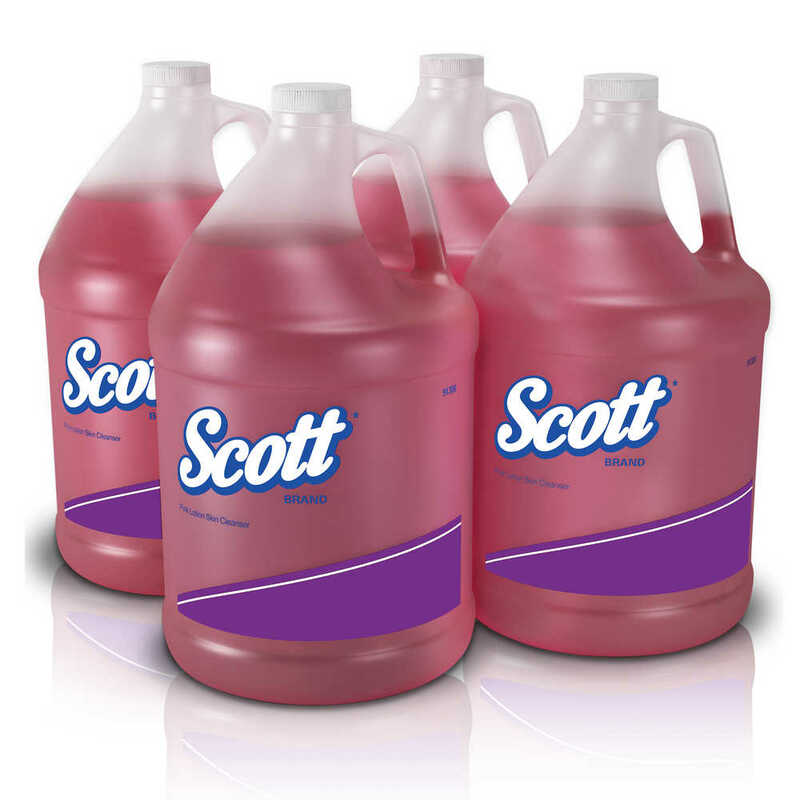 For economical, dependable cleaning, you can trust Scott liquid hand soap bulk.